Order in the next 5 hours 26 minutes for delivery on Wednesday, April 24. A vision of shimmering colors, this opal and diamond ring features an oval opal framed by forty-four pavé-set round brilliant diamonds in 18k white gold. 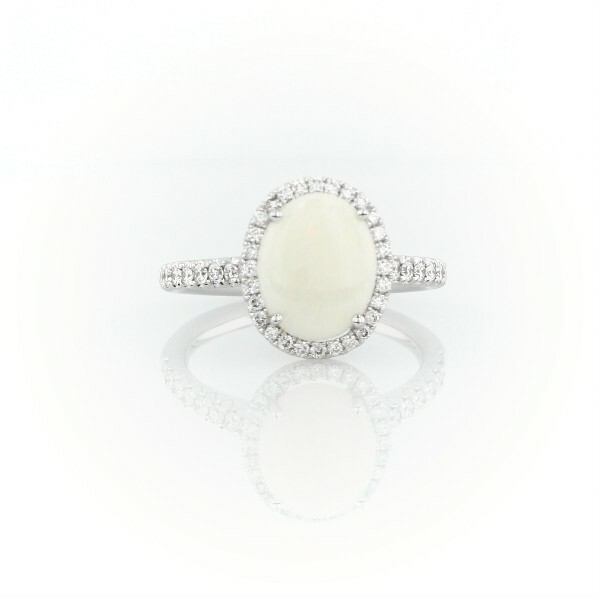 While perfect for special occasion wear, opals are a softer gemstone and not recommended for daily wear.